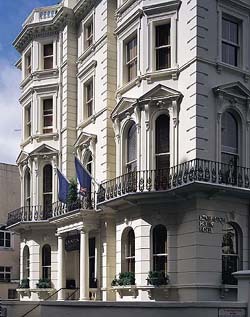 The Kensington House Hotel is a contemporary town house located just off Kensington High Street on Prince of Wales Terrace a location that offers beautiful views of mews houses. Kensington Gardens is just a short stroll away as well as the buzz of the High Street, a street renowned for its elegant and stylish boutiques and restaurants. The underground station High Street Kensington is located a short distance away, providing you with easy access with just a few stops away to the likes of Piccadilly Circus and Oxford Circus. Attractions nearby include Kensington Palace and gardens, shopping in Knightsbridge (Harrods), Royal Albert Hall, Natural History and Science Museum and Hyde Park. 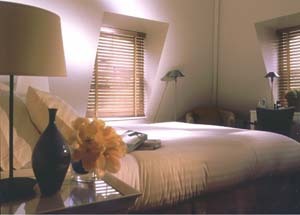 Kensington House offers 41 en-suite room. The rooms are bright and airy with large windows. All rooms feature an in-room safe, ceiling fan, voicemail/modem, hospitality tray, satellite TV and hairdryer.